I was born on August 26th and my Birthday falls into that fun time where you can either be the oldest in your class or the youngest. My parents decided I needed a little more time and I started kindergarten on the eve of my 6th birthday. For this stroke of genius on my parents part I will forever be grateful. I got ok grades in school due in large part to my lack of studying and could socialize with the best of them. I cheered and played tennis. I was an avid book reader. I would consider myself very out-going but sometimes slightly shy and immature. My childhood was picture perfect in a town that you could equate to a real life Mayberry where everyone knows your name and your Grandmamas. It was idyllic and I never wanted for anything. It was quite a picture perfect adolescence. I left for college a big fish in a small pond and quickly became a tiny minnow in a gigantic ocean. I loved college and I definitely found my group of girlfriends but it took some time. I felt uncomfortable in my own skin for the first time in my life. I will say that I struggled a lot with finding myself in that time period and got caught up in what everyone else was doing. I graduated with absolutely no idea what I really wanted to do with my life and no clue what my next step was going to be - all I had was a piece of paper with my degree on it. All around me my friends were taking the next step - getting jobs or going to graduate school. I envied their confidence to which they flung themselves into this next phase of life. Honestly, looking back I felt extremely lost. I just didn't know what I wanted to do. I was slapped pretty hard with reality after that - I went through my parents divorce around that time which I did not take well, started to realize that I was going to have ZERO dollars soon if pretty much not already, and literally had no job prospects on the horizon. I think at that point I felt like every stable piece of my life was gone and I was very much adrift. The good Lord knows what he is doing because through all of that madness I had Henry and he was my absolute rock. Looking back now I realize that around that time in my life is when I started to really mature into the version of myself that I am today. It definitely took a lot and I mean A LOT of bumps and bruises along the way. Several jobs and lots of life lessons about hard work. You don't know what the defining times are when you are going through them, you can only see it looking back. You wake up one day and realize all those little things happened for a reason. The point of this long winded story about my adolescence lasting long into my twenties is that I wouldn't change a thing about growing up a little late. It brought me to this point in my life and taught me so many valuable life lessons. Without the struggle I would honestly not be as well rounded as I am today. I realized that nothing is going to be handed to you - you have to work really really hard to create the life of your dreams. I found my passion for writing again and am slowly realizing what I want to do, realized the value of a dollar - a very hard lesson and still one that I struggle with, and the importance of stability and a well rounded life. I found my inner grown up and an amazing partner in life along the way. 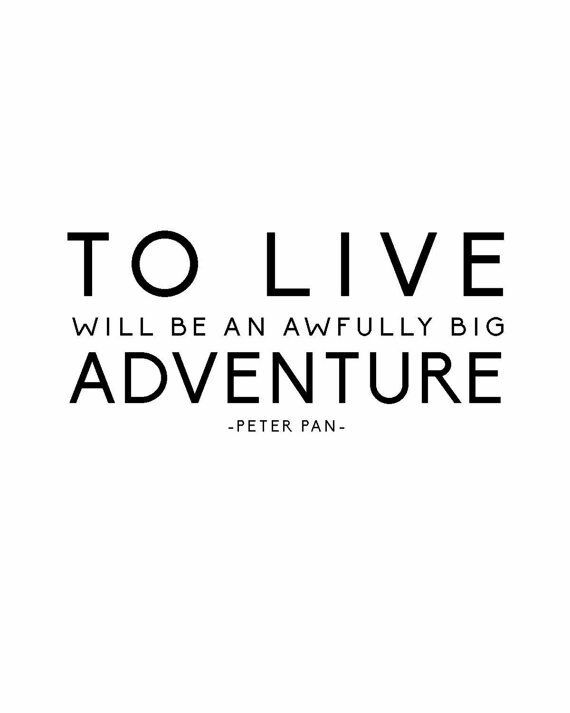 So in my book a little Peter Pan syndrome never hurt anyone. If anything it is kind of nice in this day in age when everyone is growing up so quickly. Approaching 30 feels like a new chapter in my life into adulthood and I am totally at ease with the fact that it took me 29 years to get to this point. It is after all my journey. Thank you so much for being so honest and open, Gracie! These kinds of posts are so refreshing to read – I'm currently going through a little change of heart regarding work, and it's nice to hear that it takes everyone a little while to have it all figured out. And that it was worth the wait, too! !